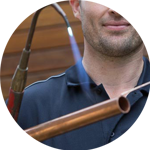 The Handy Squad is the best and only choice when it comes to anything related to London Plumbing. We have a selection of highly-trained and efficient teams across the capital, which includes the area of Pimlico. 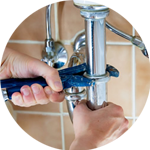 Your Pimlico Plumber will be able to offer assistance with a wide selection of plumbing tasks, which includes anything related to: replacements, unblocking, installations and repairs. Our teams have been in full operation since 2005, which means they have undertaken both simple and arduous jobs within commercial and domestic buildings. 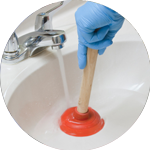 Some of the most common tasks our teams have handled includes: changing a tap washer, unblocking sinks and waste disposal unit installation. 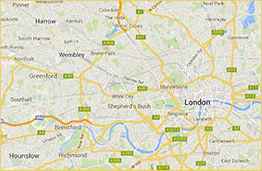 Pimlico is a small area in the centre of London. The region is best known for its garden squares and Regency architecture. If you need someone with a well-rounded and complete set of DIY skills, we have a team of Handymen in Pimlico. 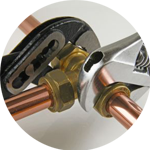 They will be able to offer assistance with any general maintenance around your home or work place. Their skills enable them to undertake anything that relates to: flat pack furniture assembly, hanging mirrors up, bathroom tiling, and odd jobs services. Any electrical tasks will need to be done by individuals with the required knowledge and qualifications to ensure safe and secure completion. We have a team of proficient and reliable Electricians in Pimlico, who will complete such tasks with precision and care every single time.